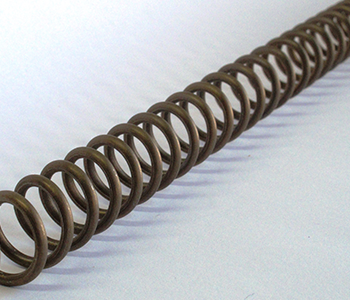 Argus Heating design and manufacture a wide range of custom made furnace and kiln spiral elements from resistance wire held in stock. Our skilled and experienced team spin this wire using custom made mandrels and machines to produce high quality spirals. ‍A range of terminating options are available including: straight wire tails, twisted tails, and 8mm diameter Kanthal A1 rod terminals. Argus Heating can custom design and manufacture elements. Long lasting spirals are produced from high quality Kanthal A1 and D resistance wire.